We all know someone who’s nuts about animals, from cat lovers to people who are fascinated with creepy crawlies. Want to get someone a gift that shows off their obsession? We’ve got you covered! Here are 5 unique gifts for animal lovers. Our premium quality canvas art is an ideal gift for someone who’s mad about animals. We have a range of animal art designs from our talented artists, meaning people can have a beautiful piece of wall art that shows off how much they love their favourite living creature! We have a range of iPhone cases and Samsung cases which are perfect for adorning with animal designs or special pet photos.These are great gifts for the animal lovers in your life as they allow them to carry their obsession with them everywhere. If you want to treat a friend or family member to a truly unforgettable gift, one of our photo t-shirts will definitely do the trick. 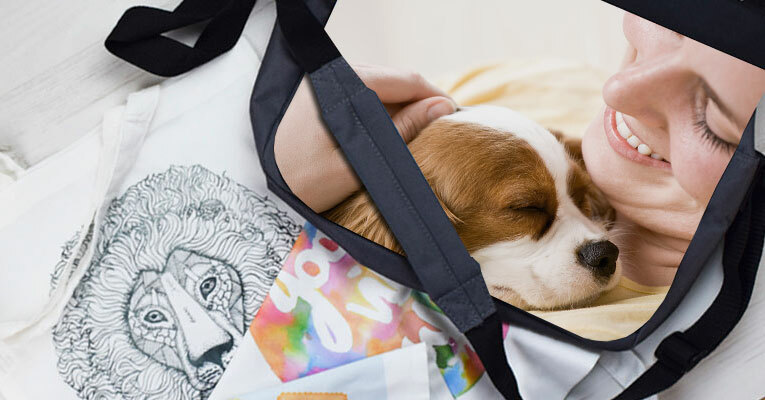 Print a photo of them with their pet on their very own t–shirt for a laugh. This is sure to go down a treat! Personalised tote bags are spot–on for shopping, leisure and general day–to–day stuff. They’re an awesome way to show off individuality and they come in handy for just about anything! Print a unique design or special image on a tote bag and the lucky recipient will be thanking you for it.